I’m back with another decoupage project. 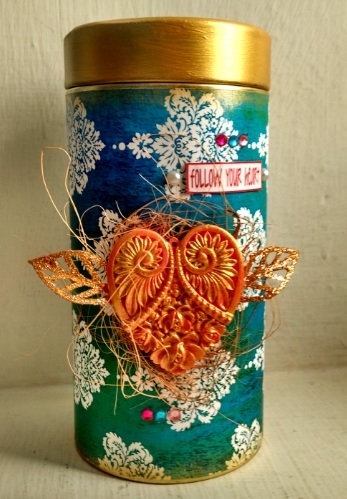 A decoupage tin. 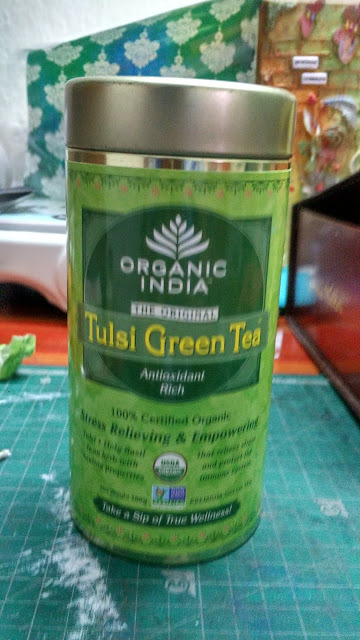 I had this green tea tin for long waiting for a make over. I decided to give it a new look with my favourite Elegant Peacock Decoupage paper. I removed the paper wrap on the tin and painted the lid gold. Cut the decoupage to the size of the tin and stuck it using decoupage glue. 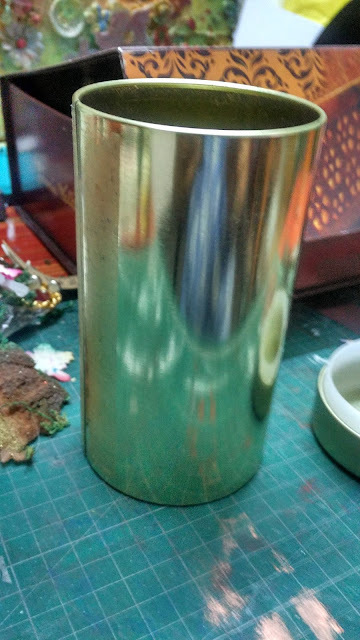 Distressed the edges using gold paint. 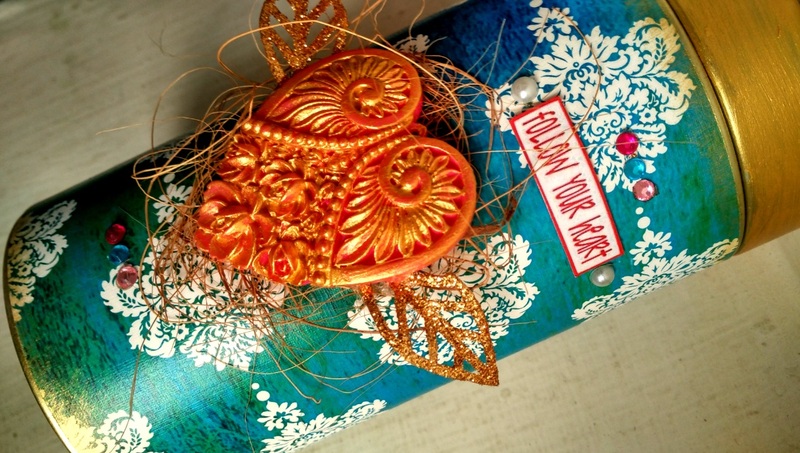 On the front of the tin added resin heart and few other embellishments.